This is a short update on Ebola. 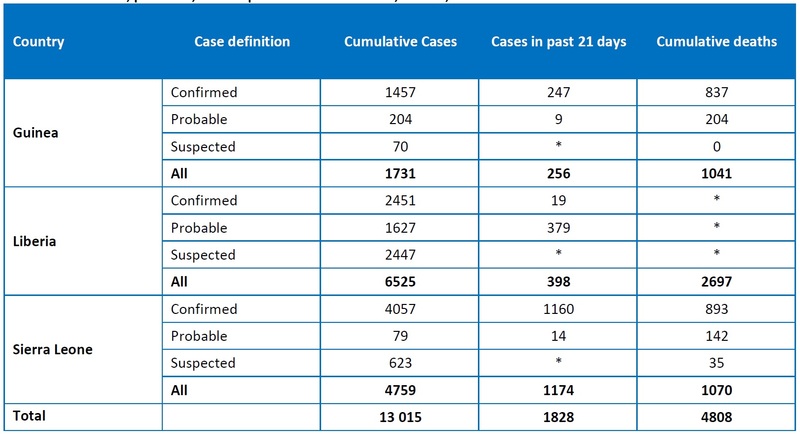 The count of cumulative cases has increased, of course, moving from 9900 (19th of October) to 13000 (2nd of November); the number of “confirmed cases, is anyway lower and it is around 8000, and the difference is due to the accounting that takes in consideration also “probable” and “possible” cases, of which only a minority actually happens to be “confirmed Ebola cases”; please read the previous posts to understand why and how. That being said, even if the cumulative count has increased, obviously, the trend is decreasing as also the WHO is admitting in his latest buletin. 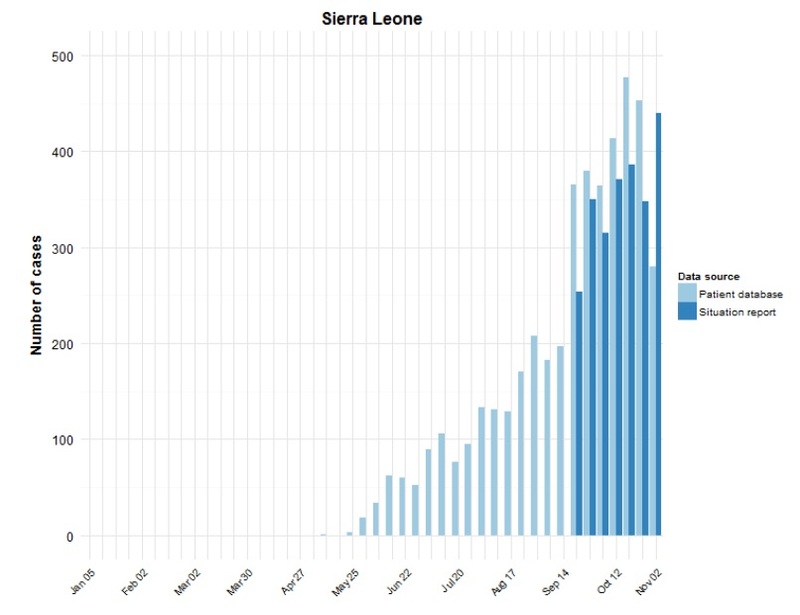 The overall figure of new weekly cases across the three Countries (S.Leone, Guinea, Liberia) anyway has stabilized and going down, and it is now around 400. 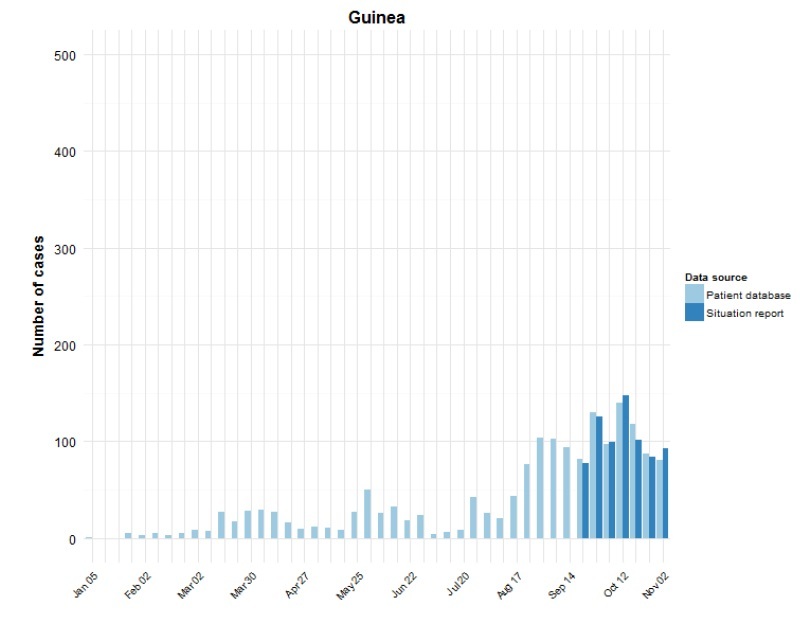 In Guinea the trend is stable and below the 100 quota. 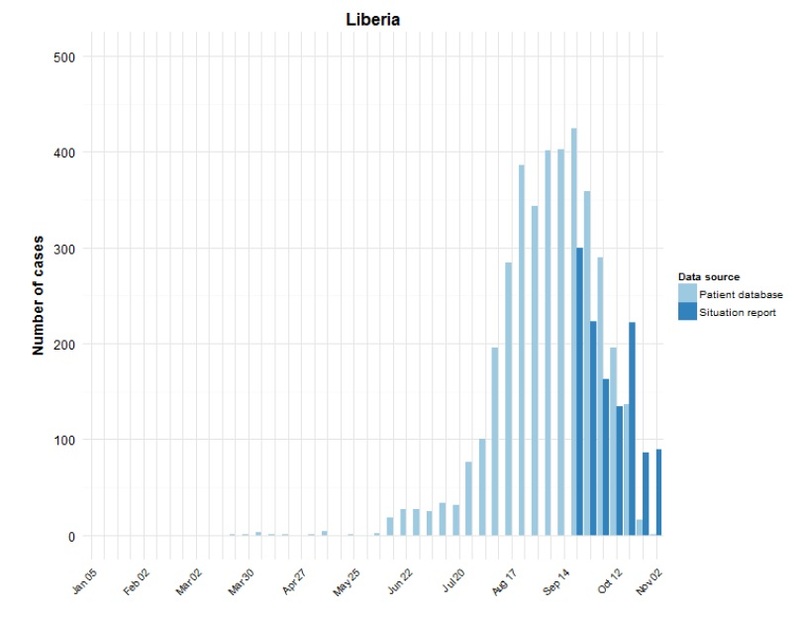 In Liberia the trend is in “dying” tail. In Sierra Leone still the count is high but it is appearing evident it has surpassed its peak value and is going gradually down. I suppose you have not received this news by the media, fear is business.